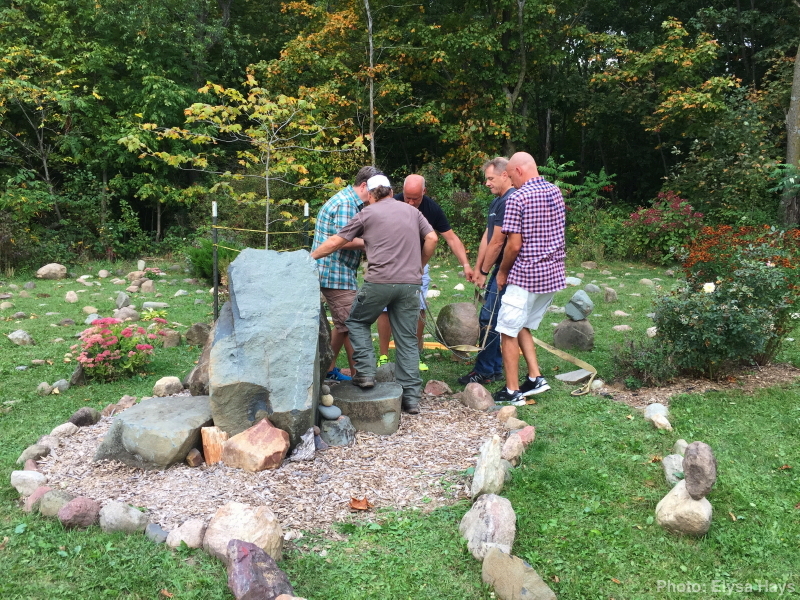 Do you remember the triumphant moment back in September of 2017, when Cyndie’s brothers and cousins helped me place a heavy stone atop the two boulders in the center of our labyrinth? Elysa captured the accomplishment in pictures. Those were the good old days. Jump ahead to today and I can report that the freeze/thaw cycle of the earth offered its own opinion of my design. 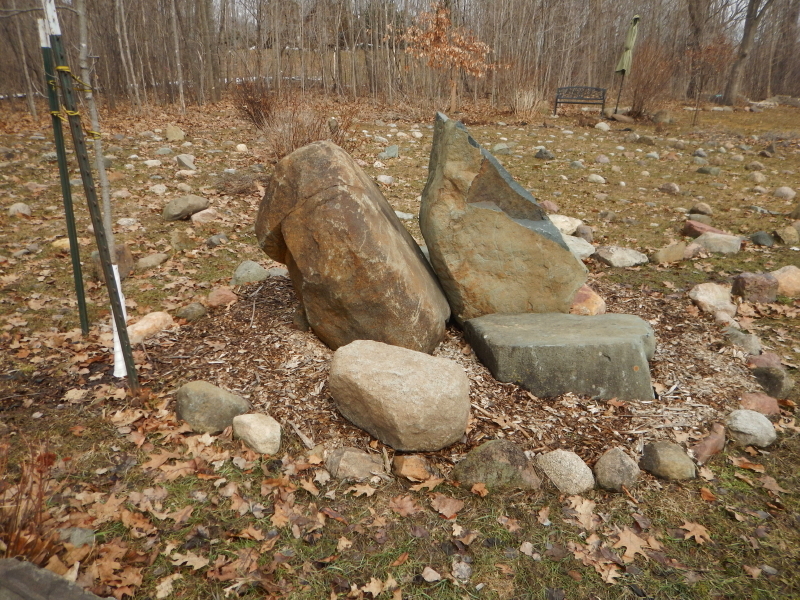 It appears that gravity prefers the third rock be in closer communion with the ground. 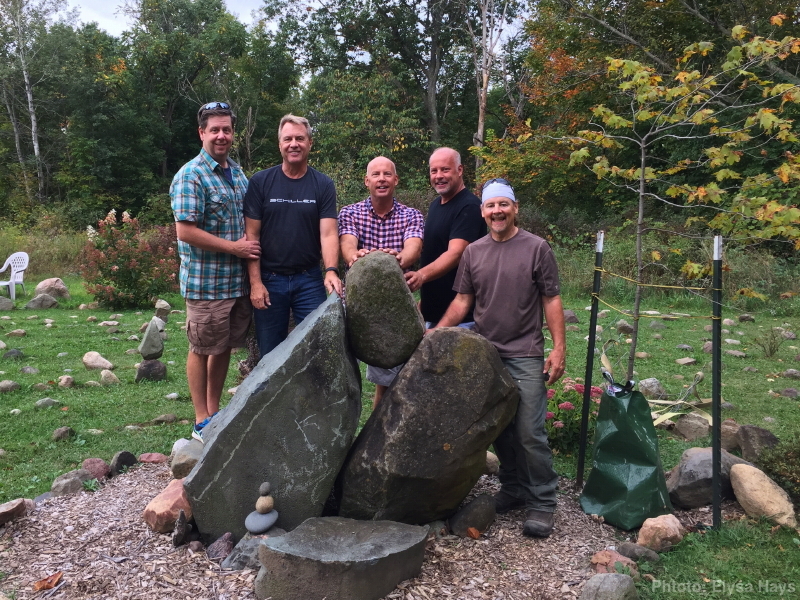 Looks like I need to get the band back together for another session of heavy lifting. Although, I’m not sure that it wouldn’t just produce the same outcome twelve months hence. The ground around here moves like the surface of the sea, just at a much slower frequency. We couldn’t be happier about this news. I’m feeling a strong desire to visit them soon to see for myself, but knowing how well they are doing provides great comfort for the sorrowful pangs we are experiencing by the void of their absence. Already, we are taking advantage of the reduction in responsibility at home, as Cyndie is flying to Florida tomorrow to spend time with her parents. We cleaned up after the horses in the barn yesterday and teased each other that we might actually miss that chore. If we do, it will be because cleaning up after them is an honor when you have them as companions. In and of itself, scooping up manure holds no allure. I rearranged leftover hay bales and did a final count in the hay shed yesterday. We’ll check with local folks we know who might have interest, and if they don’t want it, post it to the online neighborhood group for all to see. Bittersweet steps of furthering this transition, made so much easier by knowing the horses are happy, back with their friends, and under the best of care.